Discovery Point #58 Silverthorn was recently awarded an American Flag of Honor from Sergeant Ryan Stanley of the U.S. Army. The flag flew over Sergeant Stanley’s base in Camp Arifjan, Kuwait on July 14th in honor of the Discovery Point center. 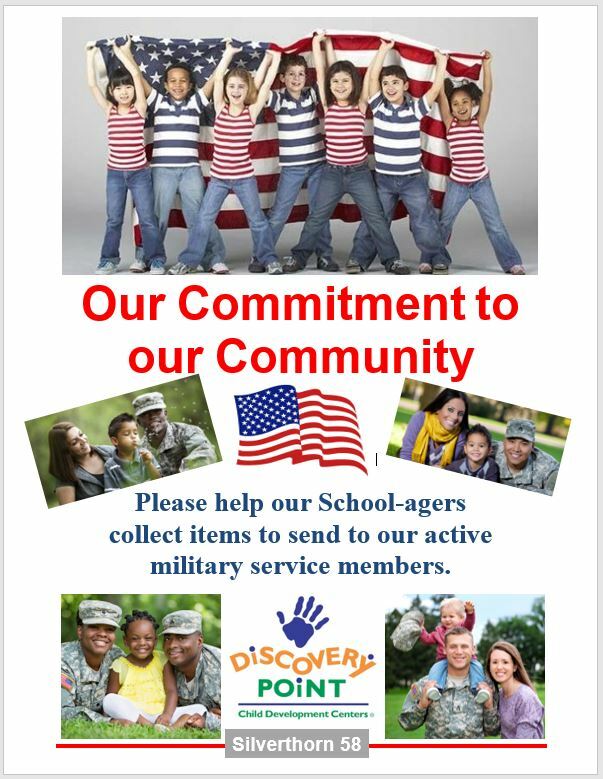 At the end of the 2016-2017 school year, Discovery Point #58 SchoolAgers had organized a collection of provisions to support the U.S. troops and wrote letters of thanks and encouragement which were included in the shipment. “Our entire school and our families participated in the collection. We were so excited to be able to ship several large boxes to Private Stanley’s Unit,” said Tim Sabba, co-owner of Discovery Point #58.